Billionaire George Soros is one of the greatest investors of all time. His overall performance ranks up there with Simons, Buffett, Icahn, and other famous names. 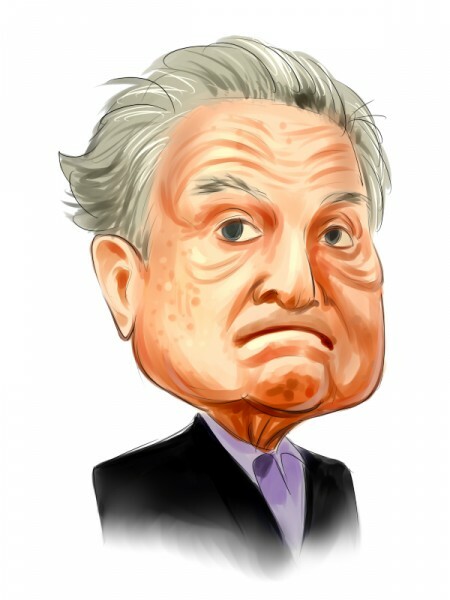 Soros has also shown his shrewdness in the futures market, forex market, and the equity market. Unlike some other markets, we as average investors get to see how his fund, Soros Fund, was positioned every quarter through SEC filings. The last known filing for Soros Fund was December 31, 2018 and below are five of Soros’ biggest equity positions. Soros Fund owned around 1.3 million shares of MDLZ at the end of 2018, good for an around $52.2 million position at the time. That accounted for 1.59% of Soros’ 13F equity portfolio and marked a 140% change from his position at the end of the third quarter. Despite being a consumer staple, the stock has done well, rallying 24% year to date since Soros’ filing. The stock trades for a forward P/E of 18.62, which is reasonable. As well as MDLZ has done, AABA has done even better in 2019, rallying 32% year to date, as sentiment concerning Chinese internet companies improve. Altbaba may not last much longer, however, as on April 2, 2019, the company announced that its board “has approved the liquidation and dissolution of the Fund”. Altbaba was originally created as a spin out of Yahoo’s Alibaba and Yahoo Japan assets. Altbaba management sold the Yahoo Japan shares for over $4 billion and is now selling its Alibaba assets which will likely bring in tens of billions. Soros fund owned 2.55 million shares of AABA at the end of 2018, good for a value of $148.131 million dollars at the time. Shares of CZR have rallied almost 40% year to date as some traders speculate that it’s a M&A play. Another billionaire, Carl Icahn, has reportedly been pushing management to sell the company since February and according to the New York Post, the company is reportedly in the potential process of doing so. Soros Fund has benefited from the speculation given its stake of 33.16 million shares of CZR, worth $225.161 million or 6.86% of Soros’ 13F portfolio at the end of December. The fund had around 1.34 million shares less than it did at the end of Q3. Shares of VICI are up 18% year to date as investors snap up shares for their over 5% dividend yield at current prices. Soros Fund reported a stake of just under 20.9 million shares, worth around $392.5 million at the end of 2018. VICI is an real estate investment trust that owns one of the largest portfolios of gaming, hospitality, and entertainment destinations around. Soros Fund reported owning almost 7.3 million shares of LBRDK, worth $525.159 million, making Liberty Broadband the largest equity position in Soros’ 13F portfolio. Besides, Soros 34 other elite funds that we track also reported owning shares at the end of 2018. Like many other stocks in Soros’ portfolio, LBRDK has also done well in 2019, rallying 31% year to date.